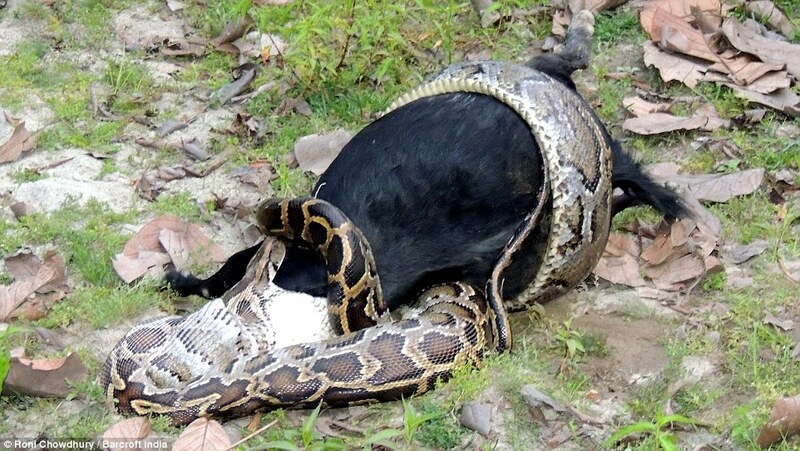 In an unbelievable moment, Indian villagers pulled a goat out of the mouth of a python. 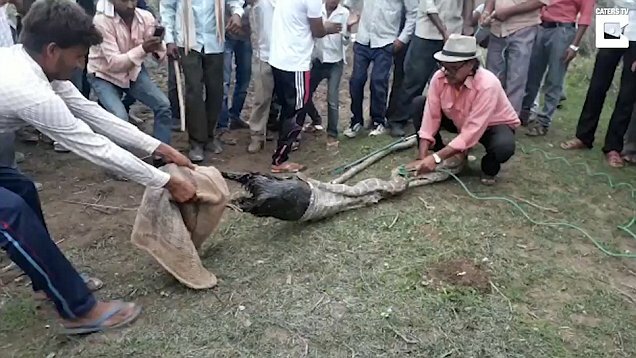 On Wednesday, in Jaitpur village of Madhya Pradesh, Villagers saw a snake swallowing the huge goat. Meanwhile, a team of forest officials with a rescue expert reached the ground zero. Expert with the help of the villagers pulled the goat from python’s mouth but it was dead by the time they freed.